A quick note while we’re away in Iowa. 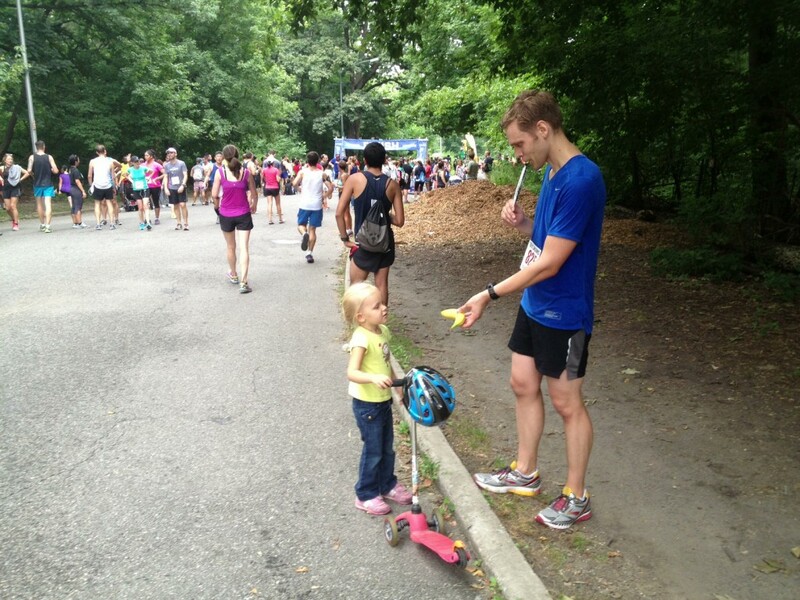 Last weekend was the 10 mile Battle of Brooklyn race in Prospect Park, which I’ve been looking forward to for a month. The lead-up in the 48 hours before the race was mundane by comparison to the weeks of training that preceded it. The runs had tapered off and Saturday was a rest day, which meant that all I really had to do before the race was avoid a freakish injury. 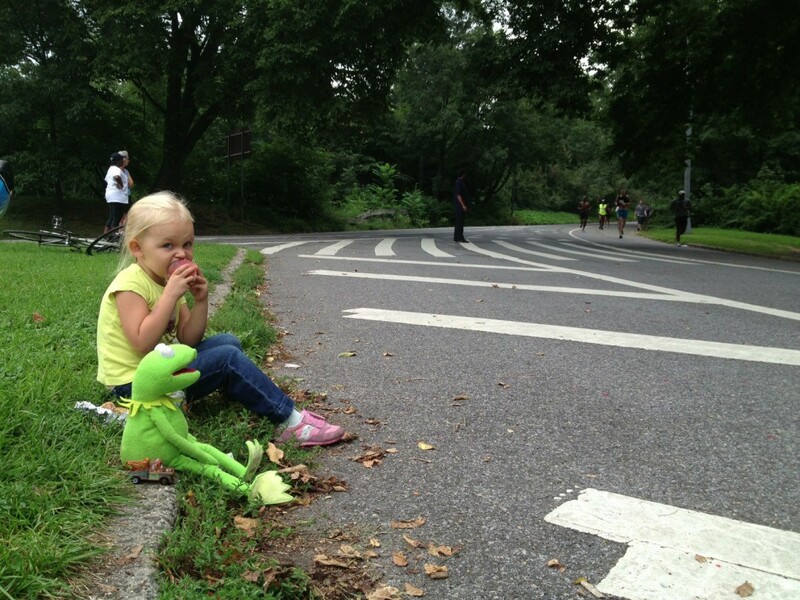 The annual summer block party on Park Place happened to be the night before the race, as well. In years past, this would have been a real issue. The parties used to go until dawn, with huge speakers booming behind our building. It was impossible to sleep. The parties bother me less now and more wet blanket gentrifiers have moved in (and presumably brought their 311 calls with them) and so the party has gotten tamer over the years, such that it’s possible to sleep through it with the windows open. This one only went a bit past midnight, I think. I feel asleep to the dulcet tones of J. Cole and Chief Keef’s recitation of things he doesn’t like. Magna Carta Holy Grail played in full because we’re in Brooklyn and it’s a summer ritual and Jay loves this town. But it was a charitable act at best—the album is not that good. 1 The largest battle of the Revolutionary War, by number of soldiers. I’m not much of a military history buff but I’ve enjoyed reading about this battle since it took place so close to us. Turns out Washington made some truly terrible decisions. U-S-A! U-S-A! U-S-A! Sunday morning was cool and gray, perfect for running. 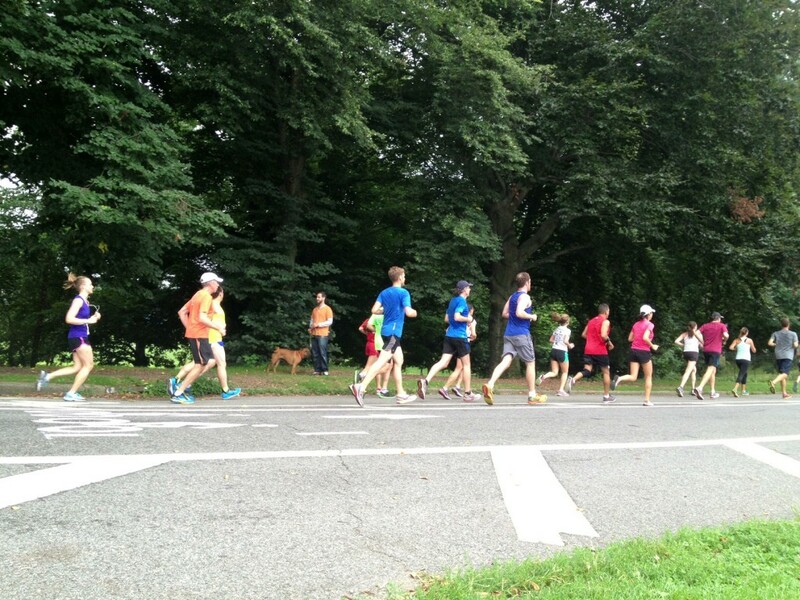 The course took us around Prospect Park three times. There’s a fairly steep hill at the north end of the park and, this being a race to commemorate the Battle of Brooklyn,1 the British were stationed near the top of that hill, decked out in tri-corner hats and armed with water guns. I’ve never felt more of a kinship with George Washington than I did during this race. Separated by only 237 years, we both ran around the same ground Brooklyn in circles before losing and ultimately retreating. Losing, in my case, was expected and just fine—I finished the race in a time I was happy with: 178th overall with an 8:26 pace, if you’re interested in those sorts of things. After the Battle, Washington retreated across the East River to Manhattan, in silence and under the cover of dense fog, without losing a single man. We got bagels.